GE's Marine Solutions announced it will provide IHI, Tokyo, Japan, with two LM2500 aeroderivative marine gas turbines for the Japan Maritime Self Defense Force's (JMSDF) new 8,200-ton class Aegis destroyer. 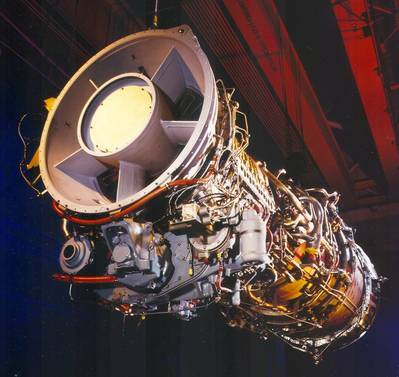 GE said its LM gas turbines are used by 34 navies worldwide to power more than 500 ships. The current global LM fleet totals more than 4,200 engines operating in diverse marine and industrial applications. Including the aforementioned new destroyer programs, the JMSDF uses LM2500 and LM500 gas turbines for its Kongou- , Murasame-, Atago-, Hyuga- and Izumo-class ships. To date, IHI has packaged, tested and delivered over 300 GE LM marine and industrial gas turbines, including 102 LM2500 engines and 79 LM6000 gas turbines. The GE LM2500 gas turbines for the new Aegis destroyer will be equipped with integrated electronic controls, and will be arranged in a Combined Gas turbine-eLectric And Gas turbine (COGLAG) configuration. IHI will deliver the LM2500 propulsion modules to the shipyard, Japan Marine United Corporation, in 2018.